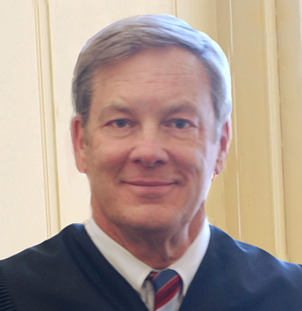 Judge Bruce D. Black was appointed to the United States District Court for the District of New Mexico in 1996. He served as Chief Judge of the District (2010-2012) and retired in 2017. In capacity as a District Judge he presided over 160 jury and bench trials involving natural resources and environmental law, employment discrimination, civil rights, constitutional law, immigration and border security, Native American sovereignty, excessive force and public corruption. Judge Black sat with and authored opinions for, the Tenth and Federal Circuit Courts of Appeal. Judge Black was appointed, and then subsequently elected, to the New Mexico Court Appeals (1991-1996). In that capacity he authored over 350 judicial opinions. McGuire v. City of Santa Fe, 954 F. Supp. 230 (D.N.M. 1996) (hedonic damages not recoverable in employment discrimination suit). In re Horizon/CMS Healthcare Corp. Securities Litigation, 3 F.Supp.2d 1208 (D.N.M 1998) (complex securities fraud class action). Purple Onion Foods, Inc. v. Blue Moose of Boulder. Inc., 45 F. Supp2d 1255 (D.N.M. 1999) (trade secret misappropriation). Craft v. Sunwest Bank of Albuquerque N.A. 84 F. Supp. 2d 1226 (D.N.M. 1999) (liquidator of insolvent offshore insurance company entitled to represent policyholders). Yumukoglu v. Provident Life & Acc. Ins. Co., 131 F. Supp2d 1215 (D.N.M 2001) (pre-manifested condition had to be specifically exempted from incontestability clause of insurance policy). Origins Natural Resources Inc. v. Kotler 133 F.Supp2d (D.N.M. 2001) (mere internet marketing provided insufficient minimum contacts to support trademark infringement claim). Asbury v. Geren, 582 F.Supp2d 1323 (D.N.M 2008) (FLSA two year statute of limitation properly borrowed in ADEA under bypass option). Garcia v. Vilsack 628 F. Supp.2d 1306 (D.N.M. 2009) (untimely filing of Title VII complaint not excused under equitable tolling). Navajo Nation v. Urban Outfitters, 2016 WL 5339683 (D.N.M. 2016) (trademark infringement). State Constitutional Law as a Basis for Federal Constitutional Interpretation: The Lessons of the Second Amendment (with Kara Kapp) 46 N.M.L.R. 240 (2016). The Use (or Abuse) of Expert Witnesses in Post-Daubert Employment Litigation, 17 Hofstra Labor & Employment Law Journal 269 (2000). The Federal Perspective on Public Confidence Issues, 38 New Mexico Bar Journal 38 (1998). What Are the Lessees Obligations When Settling Take-or-Pay Litigation in New Mexico? Natural Resources Labor Reporter (1991). Optional Safety Devises: How Strict the Liability? 8 New Mexico Law Review 191 (1978). Professionalism in Trial Practice: Reforming Rambo (New Mexico Bench & Bar Conference 2000). Education Judge Black received his B.A. from Albion College, M.A. from Western New Mexico University and his J.D. from the University of Michigan. He has taken Advanced Mediation Strategy for Judges at Duke University School of Law and studied at the University of Edinburgh. He is a member of Phi Beta Kappa and Phi Alpha Theta.